According to one of the developers behind Anthem, the game has gone gold. In other words, they’ve completed the master copy of the game. Of course, in the age of games as live services, further content and features will be coming to the game over time. As it turns out, this will not only include PvP, but also cross-play. Unfortunately, it’s not all good news on the Anthem front. Pretty much everybody that has any interest in the game knows that it won’t feature PvP at launch. This is slightly disappointing, to be sure, especially for a game that’s heavily multiplayer-oriented. Well, according to a tweet from lead producer Ben Irving, Anthem won’t have cross-play at launch, either. So, if you were looking forward to squad up with friends that don’t use the same platform, sadly, you’ll have to wait for the devs to add the feature. Which is a shame, seeing how Anthem emphasizes co-operative play. Let’s be frank, though; the lack of cross-play won’t exactly a deal-breaker for the vast majority of players. 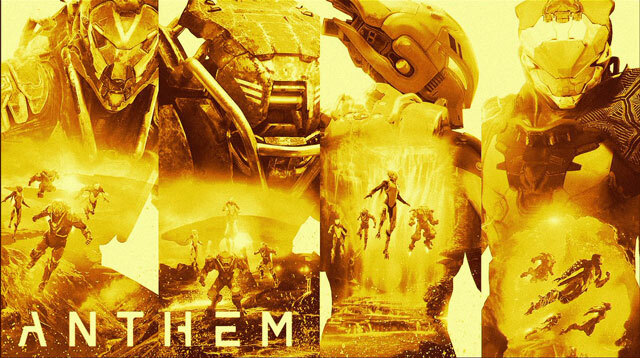 After all, Anthem will feature matchmaking for all activities, so you’ll likely be able to find somebody to play with at all times. Anthem is coming out on February 15th for those that’ll get early access, and February 22nd for everyone else. You’ll be able to play on Xbox One, PC, And PlayStation 4.